Its going to take me some time to process it all! You can see it again here – I had a great time tweeting and talking and interacting with tweeters from the uk, the states, canada, ireland, australia… quite an experience. Giving a coherent lecture whilst standing on a narrow bit of rock 8 metres in the air, in the rain and the wind, was more challenging that I thought – I hadnt factured in vertigo to the experience! But I had a fab time. Thanks to all who watched, tweeted, commented, and joined in! 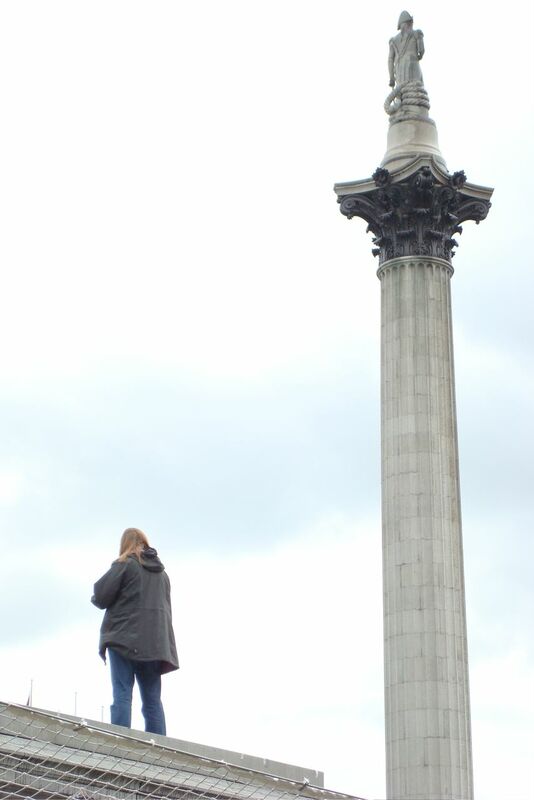 I’ve taken a couple of hundred photos of people watching me on the plinth. I’ll go through them tonight and edit them and post the “best of” soon. Next > wave to the tourbus!